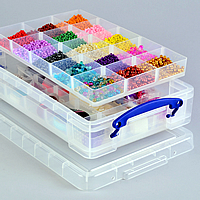 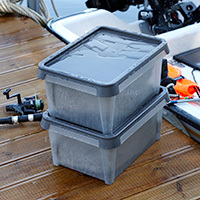 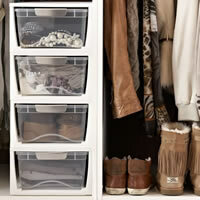 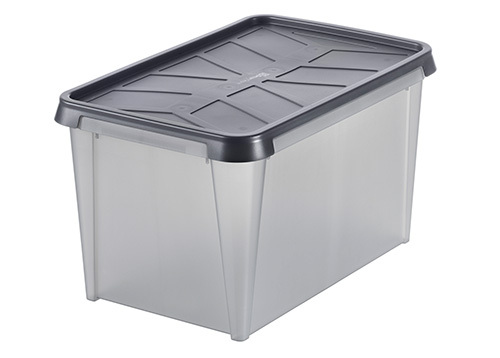 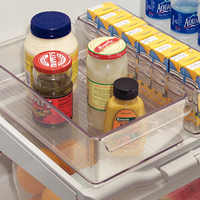 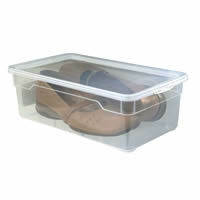 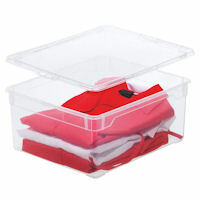 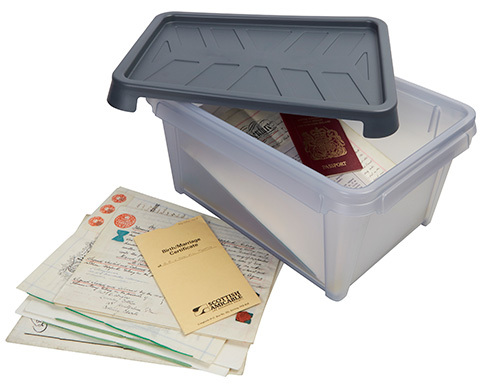 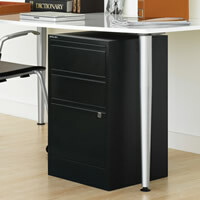 Our new XL 50-litre plastic storage box is an ideal size for clearing away all manner of things. 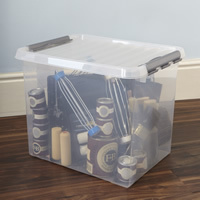 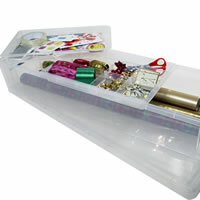 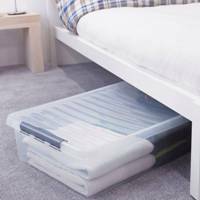 The box is completely waterproof making it ideal for use in the garage, shed, caravan, on a boat etc and makes a great choice when wanting to store items which might be susceptible to water damage such as cushions from garden furniture, camping gear, out of season clothes etc. 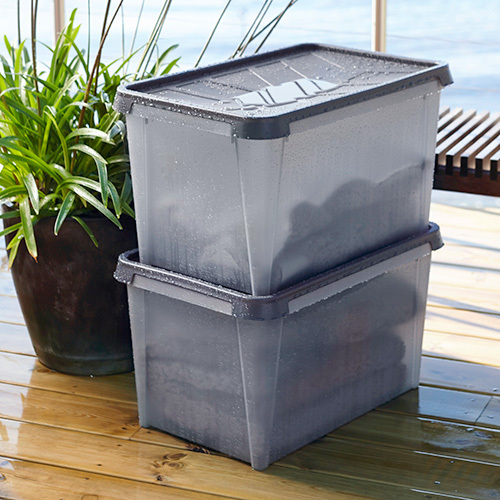 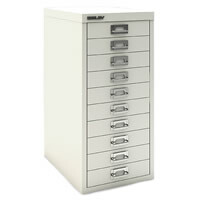 The lipped-lid allows more than one box to be securely stacked and completely seals the box ensuring that humidity, dust and bugs are kept out and contents are kept secure.